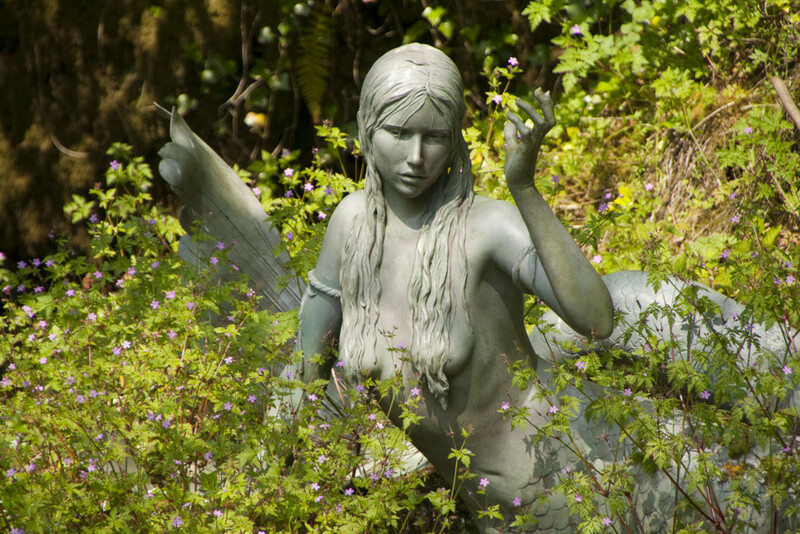 At Wookey Hole (map) near Wells and about 20 miles south of Bristol in southwest England you will find a number of unusual creatures, including life-size dinosaurs, a King-Kong sized gorilla, spectacular caves – and a spectacularly gorgeous mermaid statue in the company of a fairy. The mermaid and fairy are appropriately close to a small waterfall. The mermaid at Wookey Hole. No information on the artist has been available thus far. 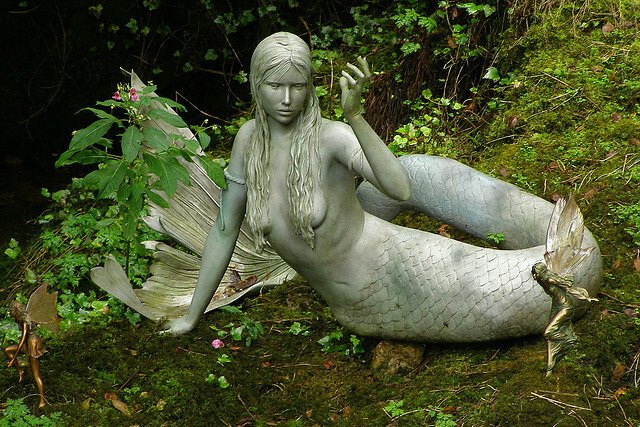 It is known that the mermaid and fairy have resided at Wookey Hole for about 6 or 7 years. 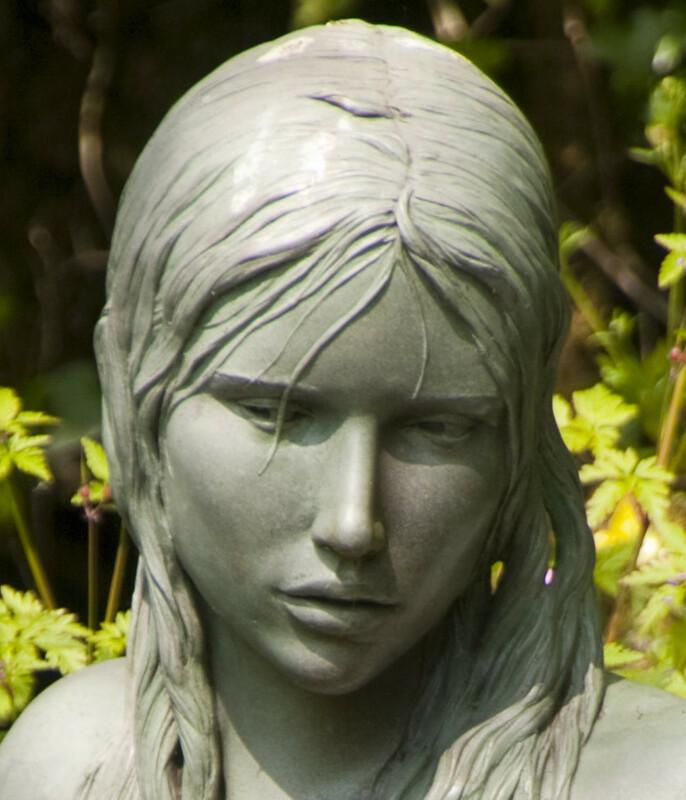 The detail on these sculptures is remarkable – take a look the the mermaid’s eyes in the closeup image below. Wookey Hole is a tourist attraction with a history going back at least to the Roman occupation. Part of the history involves the legend of the Witch of Wookey Hole, which in its essence is the story of a scorned witch, a curse on romances, a couple in love foiled by the curse, a lover becoming a monk, a monk with blessed water, some splashing of blessed water and a – literally – petrified witch. 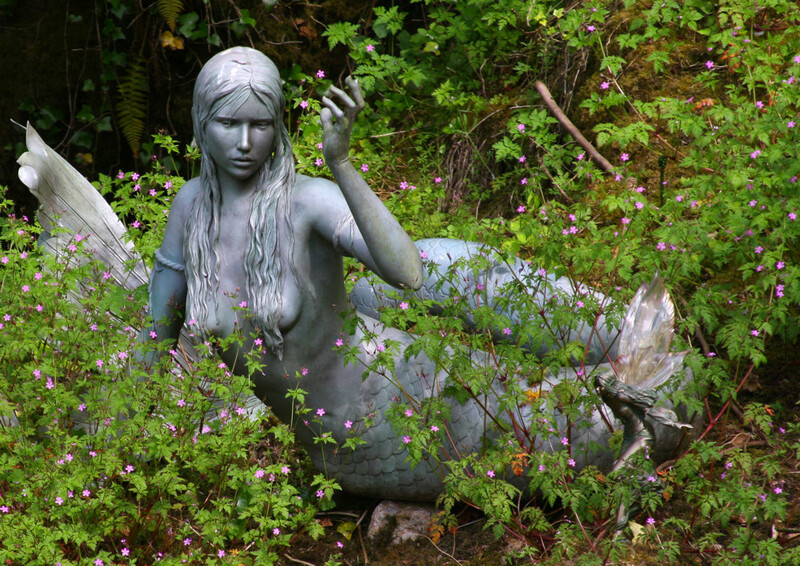 Better pictures: If you would like to help with additional photographs of this mermaid statue, please contact us. Photos must be yours, 10 megapixel or better. We can only accept photos if you give us full rights to use them in print and digital media.